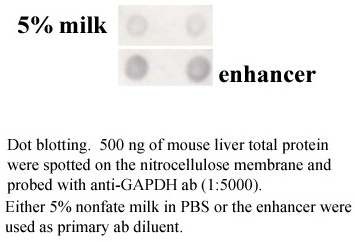 This product is developed to reduce the amount of primary and secondary antibodies used in Western blotting, ELISA and immunohistochemistry etc. 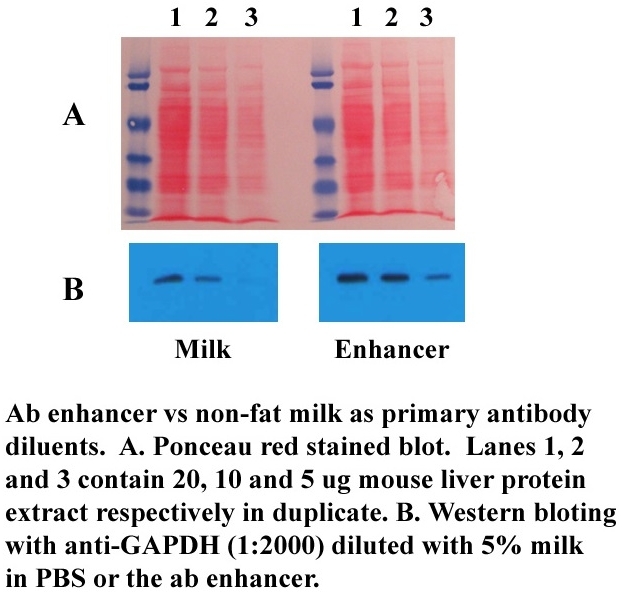 101Bio Antibody Enhancer can significantly increase the sensitivity of commonly used immunoassays such as Western blotting, ELISA and immunohistochemistry. The enhancer can reduce the amount of primary and secondary antibodies used due to higher antibody dilution employed, a significant saving of expensive antibodies. The signal intensity can be increased several folds in immunostaining applications with chromogenic or ECL substrates.